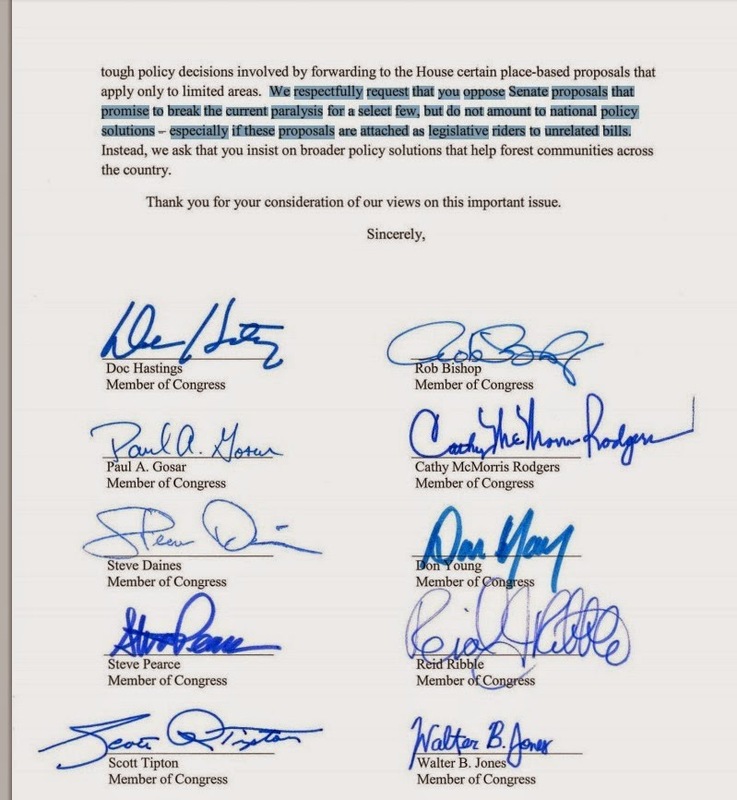 In case you missed it, Congressman Steve Daines signed on to a letter to Speaker of the House John Boehner asking him to stop any place-based legislation like the Forest Jobs & Recreation Act, Rocky Mountain Front Heritage, or even his own North Fork Protection Act, unless H.R. 1526 is passed by the Senate. With all due respect to Congressman Daines, that’s a slap in the face to the organizations, volunteers and agencies that have worked together to find common ground in Montana and advance common sense conservation bills like the Rocky Mountain Front Heritage Act, North Fork Protection Act and the Forest Jobs & Recreation Act. It ignores the vast majority of Montanans who support those bills and who support reasonable public land management based on local input from a variety of interests. It’s a position that is flat-out wrong and we are extremely disappointed that Congressman Daines would rather continue the paralysis in Congress rather than work with Montanans to pass meaningful bills designed to ensure economic viability of our timber industry, our outdoor industry and our shared public land heritage. Furthermore, we are extremely disappointed that Congressman Daines would rather advance a DC lobbyist dream bill rather than work with those of us who live, work and play in Montana. We’ve not written much about H.R. 1526 because its path to actually becoming a law is about as twisted as a jack pine on Ear Mountain. Given its radical provisions to gut the National Environmental Protection Act and the Endangered Species Act in favor of logging practices that were abandoned decades ago, the bill faces significant opposition from just about every Democrat in the senate and a handful of moderate Republicans as well. Doc Hastings’ bill, H.R. 1526, was written by D.C. Lobbyists and timber companies who view public lands as a commodity to be exploited rather than nurtured for future generations. These same companies, and apparently their congressional sponsors, have repeatedly discounted the millions of jobs and billions in economic revenue that are generated by public lands recreation. In Montana alone, that equals 64,000 jobs and $6.8 Billion in economic activity. That’s an economic powerhouse that generates over $500 million in tax revenue for the state. In short – it ain’t chump change. Congressman Daines has a genuine opportunity to honor the hard work and sacrifices that Montanans have made in order to draft good bills that help ensure a future on public lands for everyone. Congressman Daines should be standing up for Montana values and the reject party politics that would have him sacrifice his own bill to toe the party line. Happy Birthday, LWCF & Thanks for all the Fish!